When you need to move your business operations because you’re running out of space, it’s a sure sign of growth and success. Even though it’s a good thing overall, it can also be overwhelming—there are hundreds of details to keep track of throughout the moving process. Instead of spending your precious time getting it all organized, consider the benefits of hiring Liberty Movers, your trusted Worcester business relocation specialists. 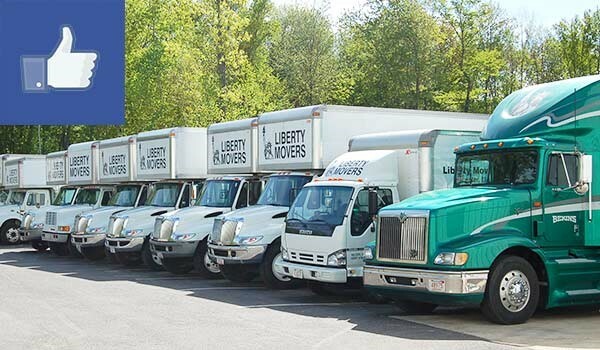 For almost 100 years, Liberty Movers has been growing its reputation as a professional business moving company in the central Massachusetts area. Our extensive experience, BBB accreditation and affiliation with Bekins Van Lines mean that you can rely on us to save you both time and money—two of the most valuable resources a business owner has. Modern Equipment: We have a variety of reliable equipment, including conveyors, stair climbers, fork lifts, and cranes, suitable for any moving task. Knowledgeable Staff: Our highly-trained business moving crews have the knowledge and skills to safely and efficiently box, wrap, package and move all of your items. Comprehensive Services: From insurance to building access and elevator restrictions, we’ll handle every aspect of your move so that you can focus on running your business. Secure Storage: Our well-maintained and secure facilities are the perfect solution for any of your short- or long-term storage needs. Designated Project Manager: To facilitate your move and keep communication flowing, we designate a project manager to oversee your relocation and to address any questions or concerns you may have. Make your life easier by trusting the professional Worcester commercial movers of Liberty Movers. Call us or fill out our online quote form to get started with your moving process planning today!